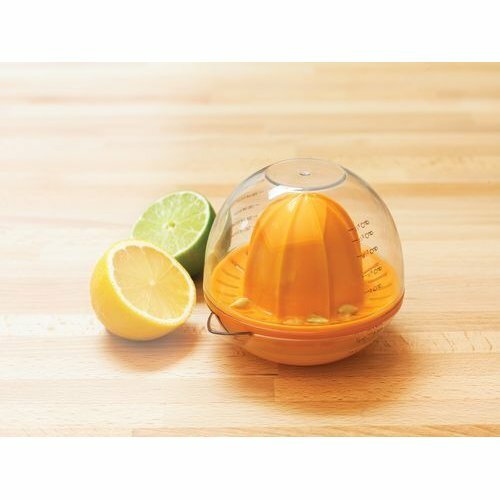 Citrus Juicer is perfectly sized to fit lemons, limes and small oranges. 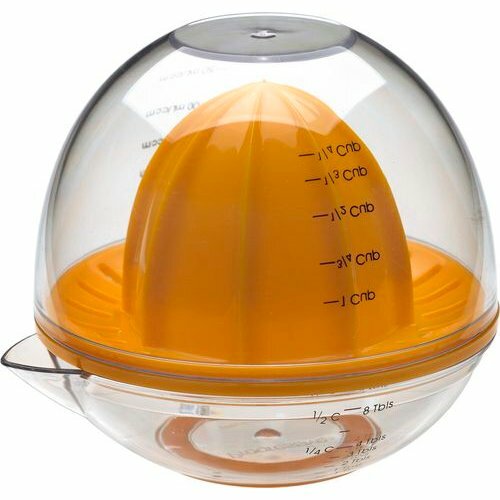 Clear base of juicer has printed measurements up to 1/2 cup, 8 Tbsp or 120ml so you can measure the perfect amount every time. The domed lid also features measurements up to 1 cup, 16 Tbsp or 240ml. Base includes an easy pour spout.